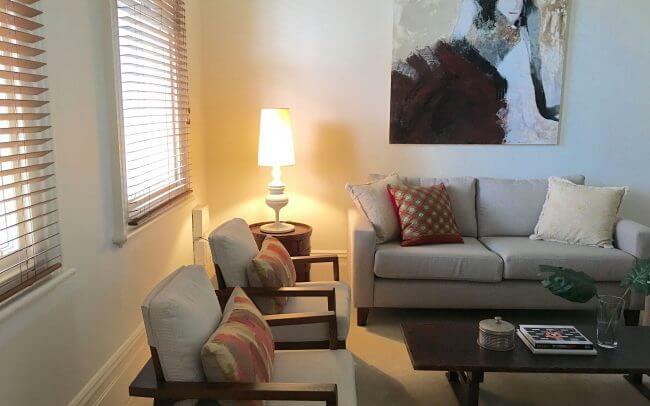 Melbourne’s most experienced property stylists. Blend Design supply all furniture, accessories and artwork required to completely style your property. We’ll create a unified vision across your property that beautifully fits your space and attracts your target demographic. 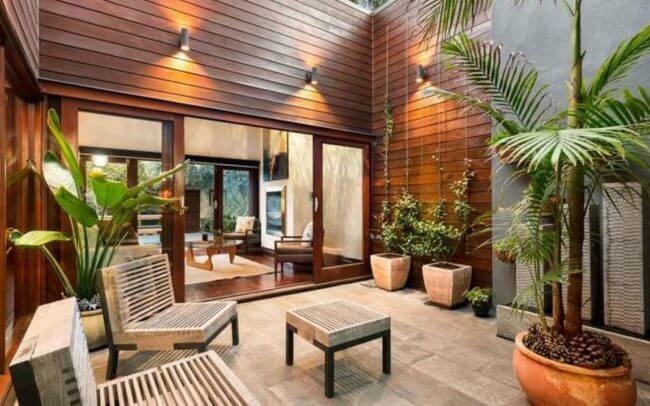 We work with real estate agents, builders and developers in Melbourne and Victoria. We can arrange any maintenance your property requires, from painters and electricians, to flooring installers, gardeners and cleaning services. Blend Design can co-ordinate and project manage all trades and services on your behalf. Our interior decorating & design service allows us to create a unified style across your entire property. From minor styling to a complete home re-design, Blend Design bring a wealth of experience to provide all your interior design needs. 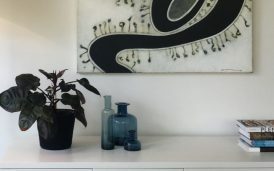 Blend Design are experts at preparing properties for sale, so if you are unsure of how to present your home for sale and want to see the maximum return on your investment, then contact us for a consultation. 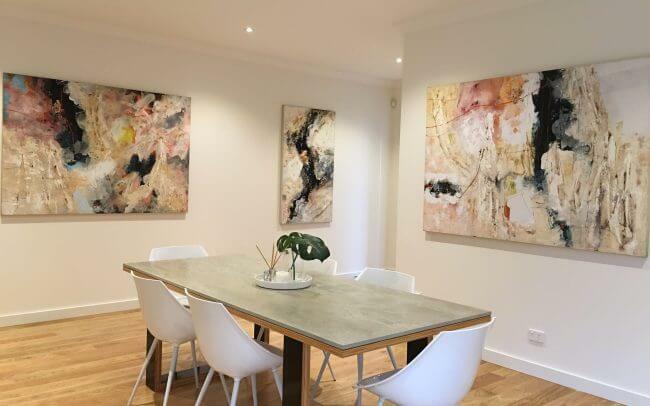 With over 18 years of experience preparing and styling the interiors of Melbourne homes and new developments for sale, Blend Design have become one of the most trusted names in Melbourne’s real estate and interior styling industry. Blend Design have a wide range of furniture and styles that have been curated over the years and constantly keep abreast of trends and new styles by procuring new pieces regularly, so that we can offer our clients a unique look that will enhance the appeal of their property. 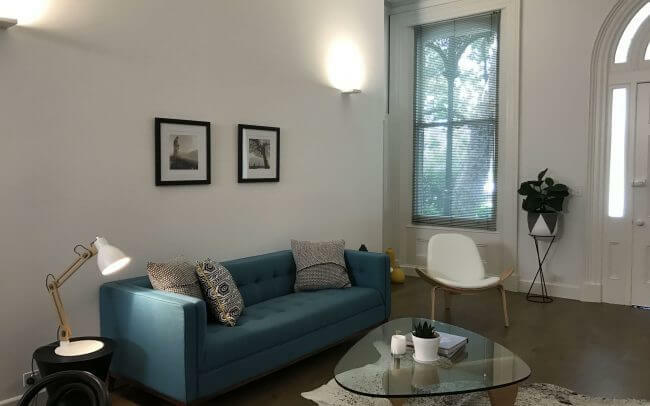 We understand that when you’re trying to sell your property, interior presentation and styling may well be the last thing on your mind but is proving to be one of the most important things in today’s market. 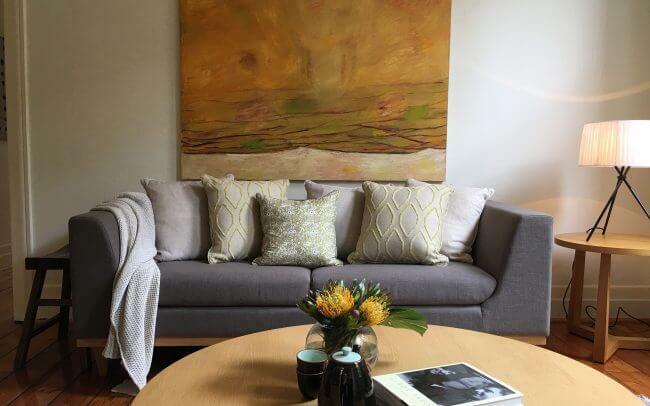 So we bring our expertise in home styling, staging and presenting to make your home’s interior a major selling point, in order to draw a bigger crowd, sell faster and achiever a greater result. Based in Clifton Hill, we service clients in Melbourne and greater Victoria. 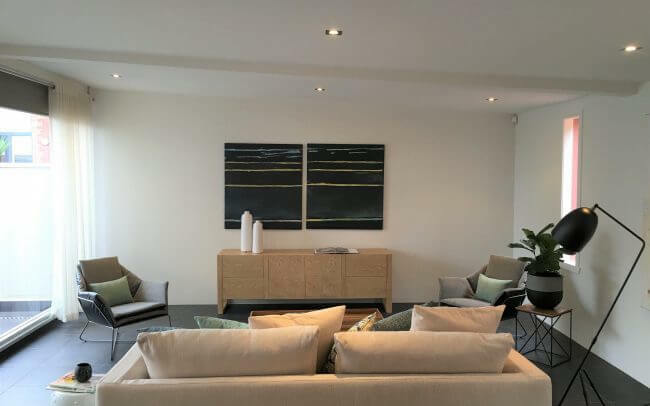 As preferred interior stylists for a number of real estate agents, architects, builders and developers in Melbourne, Blend Design has built a reputation on designing and styling interiors that appeal to a wider demographic of potential buyers. 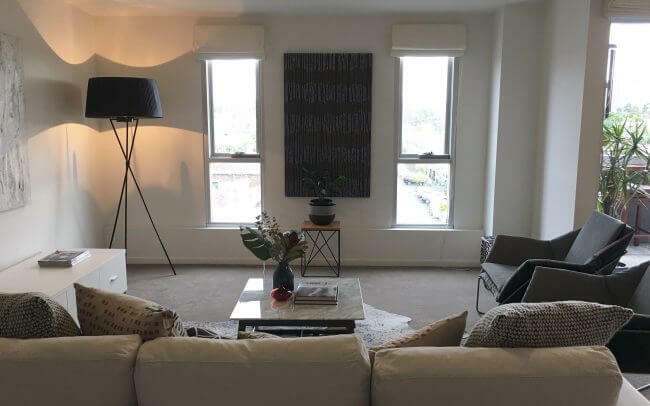 The furniture and accessories and styling that Blend Design provided for the marketing of our apartment in Nth Carlton were nothing short of fantastic. Your choice of style and colour was immeasurably good. Our real estate agent was totally confident in your ability and he was spot on. The apartment looked quite amazing, in reality and in the photographs. I commend Blend Design for their understanding, design skills and choice. The apartment sold last Saturday and we are delighted, a successful sale due in no small measure to what you contributed to the campaign. I am so glad my real estate agent recommended using Blend Design for furniture presentation in the property I sold recently. Anna was great to work with and her furniture selections were stunning; the house looked amazing. I have no hesitation in recommending her services. The Team at Blend Design are amazing! We achieved an awesome result with the sale of our property in Carlton. We sold it for above and beyond what we were hoping for and we are certain that the styling was a massive contributing factor. Blend’s style is edgy and different to mainstream styling and their attention to detail and meticulous finish is well worth the investment. Thank you to Anna and her team! I highly, highly recommend Blend Design. Due to Anna’s eloquence and finesse I sold my house for 2.3M. Her attention to detail surpasses any other stylist in my view. She understands the area, the style of home and the target market. Before you decide on a stylist, you will need to contact Anna from Blend Design. She works to perfection! Amazing. Anna and Blend Design did a fabulous job at styling our property. 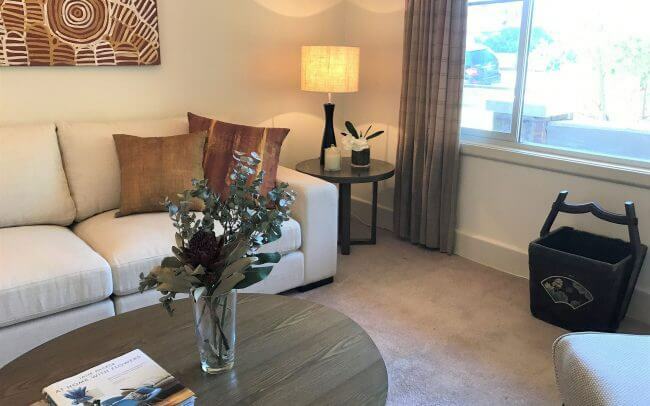 We were located on the Bellarine Peninsula and Anna was tremendous at overseeing the entire job – from travelling down to quote, co-ordinating the property styling and furniture placement and then applying the finishing touches to ensure everything was perfectly positioned. While Anna’s professionalism, experience and general passion for what she does is evident, her furniture; artwork and accessories are amazing! The styling suited the home and the area perfectly and did not give an impression that the home was ‘generically staged’.. 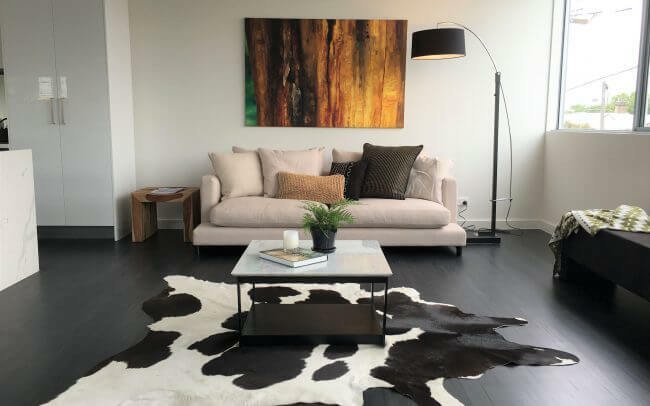 While the home we were selling received brilliant feedback throughout from prospective buyers, the furniture did too, and certainly played a huge role in a speedy and terrific sales result. It was a great pleasure to deal with Anna and Frank of BLEND Design. 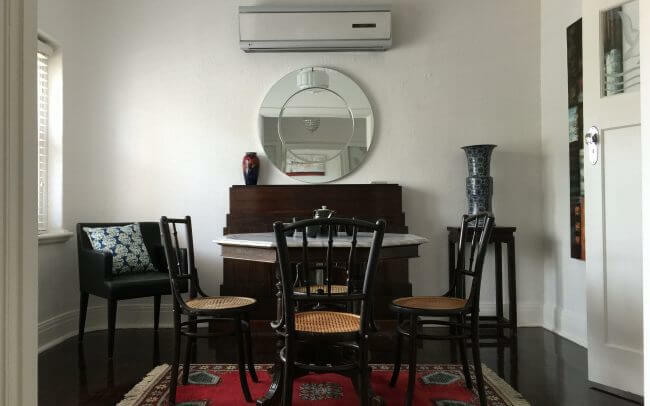 Good, warm communicating skills whilst listening to any preferences a client may have.My Period home was styled with great, careful attention to detail with final presentation, enhancing each room to its greatest potential. The end result, my home looked STUNNING and I had second thoughts in selling. I highly recommend BLEND Design and would certainly use their service in the future. We seriously love your work Anna! You have captured the essence of our house! We couldn’t be happier with the style and quality from the team at Blend Design. Anna’s attention to detail and dedication to her work is the reason we are repeat clients. 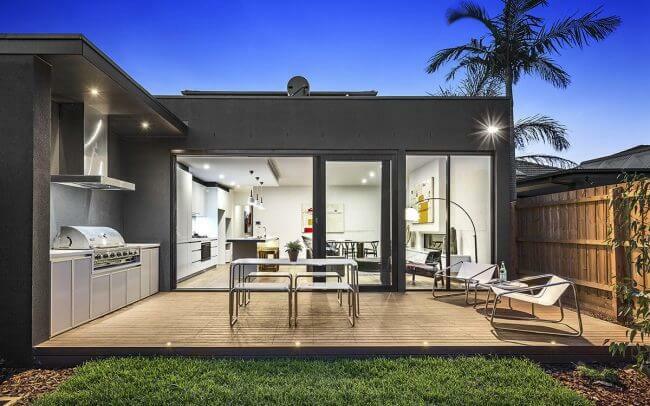 I would not hesitate recommending Anna and the team from Blend Design as they played an integral part in the auction sale of 19A Winston Drive.